Shopping for your friendly neighborhood designer is often a daunting task. Finding just the right item to appease their exacting sense of taste can instill even the most stalwart shopper with a sense of dread. I compiled this list of beautiful, useful, well-crafted, and fun options that even the most discerning designer would be happy to unwrap. 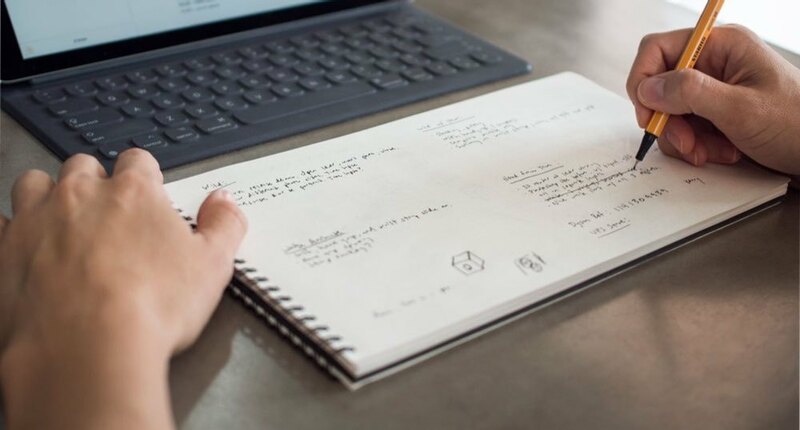 Panobook - Fresh off the heels of its successful Kickstarter, Studio Neat’s Panobook is a panoramic notebook that fits perfectly on your desk. It features thoughtful details like a dot grid with subtle hints for drawing mobile frames and an outer slipcover with a spot on the spine for a title. Scrubby Whiteboard Notebook - Whiteboards are a great way to get ideas out fast and revise them quickly. Bring a whiteboard with you everywhere with this handy little notebook. Responsive Sketch Pad - This handy sketch pad comes with desktop, tablet, and mobile browser frames pre-printed so you can quickly sketch out responsive variations for an interface. Micron pen set - The workhorse of UI sketching, this set comes in a range of point sizes for thicker outlines down to minute details. Tombow Dual Brush Pen Markers - Whether you’re looking to get into hand lettering or just want to relax with an adult coloring book, these brush pens are a great addition to your collection. Copic Grey Markers - These Copic markers make it easy to add shadows and other subtle effects to both UI sketches and illustrations. Gather - Another roaring Kickstarter success, Ugmonk’s Gather is a minimal, modular system for organizing your desk in style. Ugmonk Leather Mousepad - Speaking of Ugmonk, check out their beautiful leather mousepad which will class up any desk and only get more lovely with use. Cordies Cord Keeper - Nobody wants a tangled mess of cords scattered all over. This nifty little cord keeper will help you tame the tangle. Custom Map or Monogram Coaster - Local company New Custom makes these beautiful custom coasters (and luggage tags) that can feature a map or monogram of your choice. Kokuyo Neocritz Transformer Pencil Cases - This handy pencil case not only cushions your pens and pencils on the go, but it can also fold down from one end and stand upright so you can easily swap between pens. 3Doodler - Sketch in three dimensions with the 3Doodler, a pen that’s like a portable 3D printer. Bucky Balls - These super strong magnetic balls can be rearranged in all sorts of ways and make a fun fidget toy for brainstorming sessions. Just don’t eat them, okay? LEGO Architecture Studio - With a huge assortment of white bricks and a guidebook written by leading architects, this unique LEGO set is a great way to play and learn architecture fundamentals at the same time. 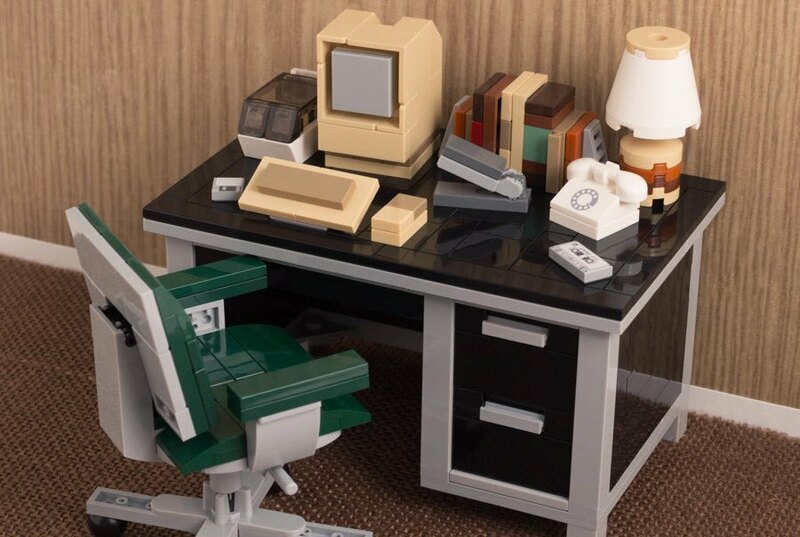 My Old (LEGO) Desktop - Brick designer Chris McVeigh concocts some fantastic custom LEGO builds, including this retro ‘80s style desk. Check out some of his other custom builds like Bonsai gardens, arcades, and more. Letter Pressed Cookie Cutters - Share your designer pride at the next cookie exchange with these letterpress cookie cutters. Super Team Deluxe swag - Class up your bags, devices, and lapels with these gorgeously designed (and hilariously snarky) pins, patches, and stickers from Super Team Deluxe. Tattly temporary tattoos - Tattly lets you blanket your skin with truly beautiful art with no regrets. 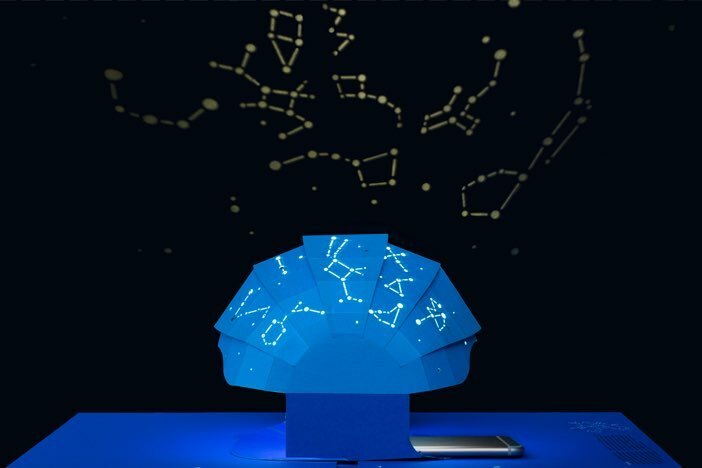 This Book is a Planetarium - This book takes interactive pop-up books to the next level by including a functional planetarium, instrument, spirograph, and more. Draplin Design Co.: Pretty Much Everything - A great addition to the designer coffee table, this book is an exhaustive survey of the work of one of today’s most prolific designers, Aaron Draplin. In Progress - Learn all about the hand lettering process and discover beautiful inspiration from the amazing Jessica Hische. Technically Wrong - This year has featured story after story on the destructive potential baked into our technology. Sara Wachter-Boettcher explores many of these problems in this much-needed critique. Gift cards to A Book Apart - A Book Apart is my favorite publisher to recommend. Their books cut to the core of a topic, cover it with style, and get you back to work quickly. These make a good start, but there’s a whole world of fascinating tools and toys for designers out there. What are some of your favorites? I’ll award bonus points for obscure, super useful, or whimsical suggestions!